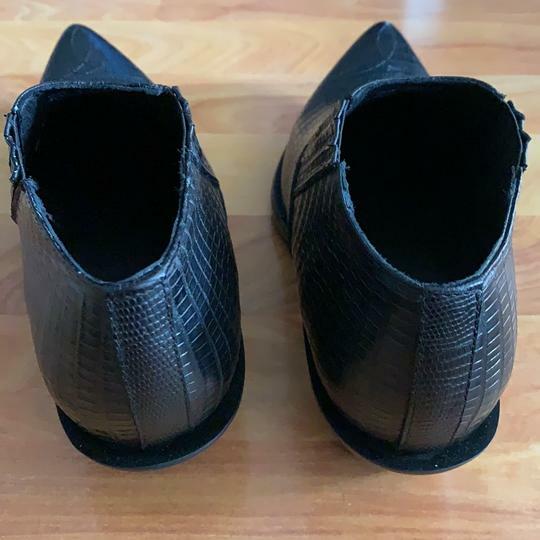 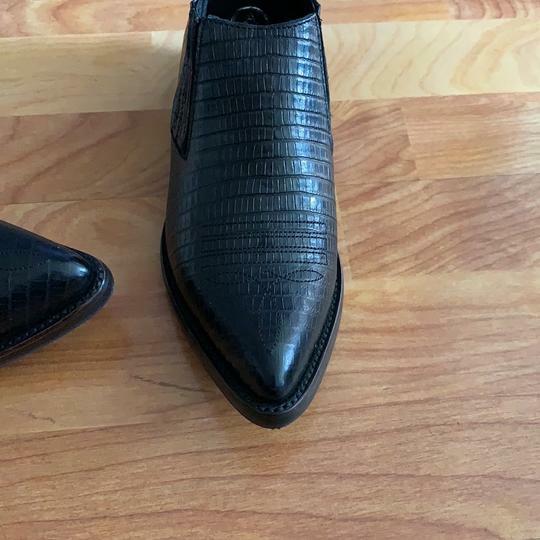 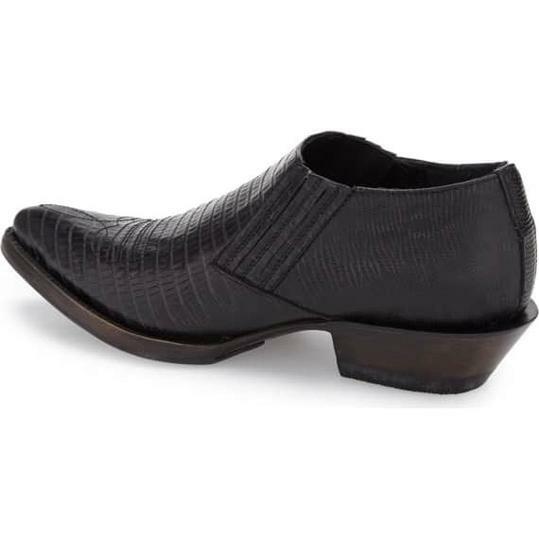 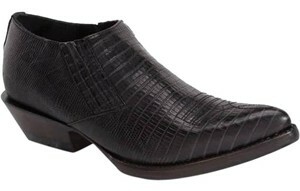 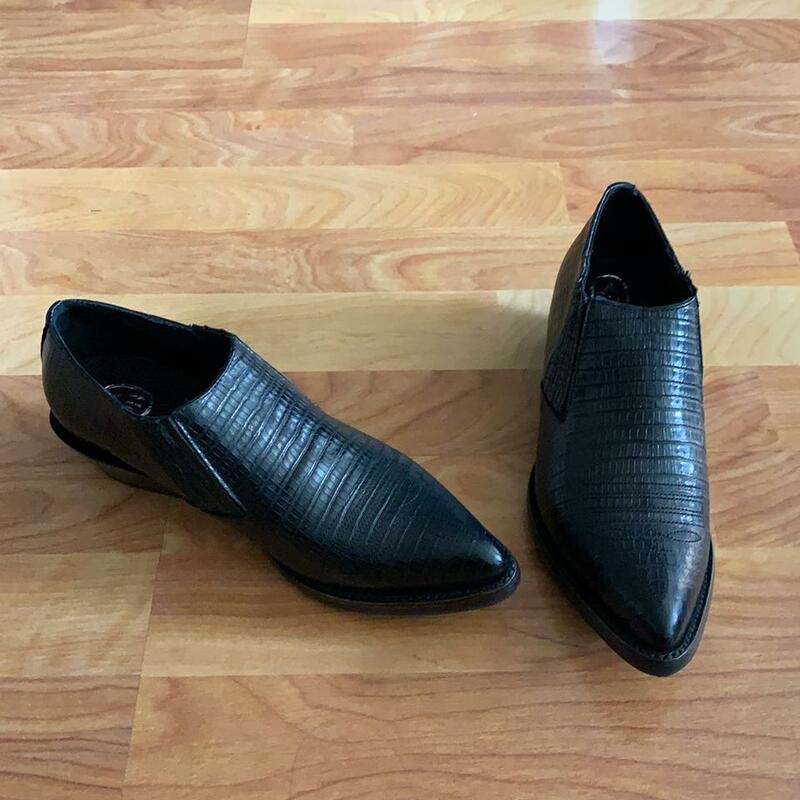 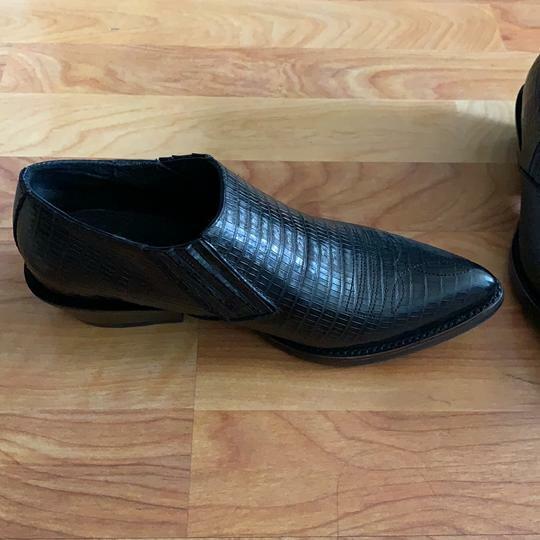 Only worn once; no wear, Covered elastic-gore insets perfect the fit of a stunning pointy toe bootie boasting Western-inspired stitching and lavish lizard-embossed leather. 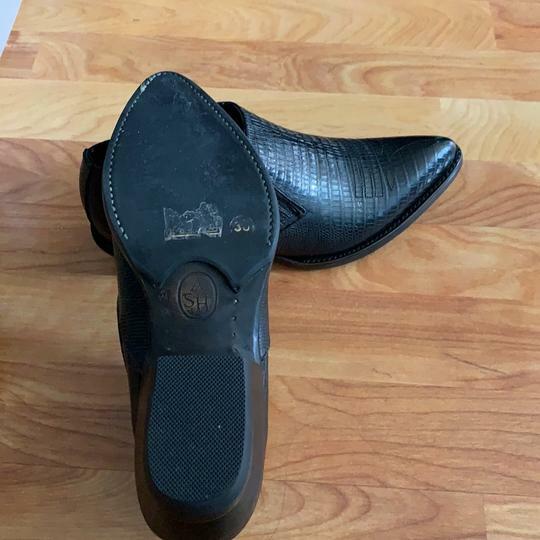 Leather upper and lining/leather and synthetic sole. 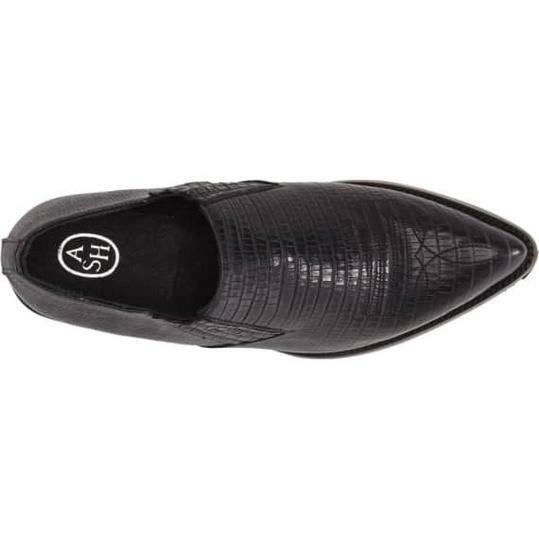 AB Listed by: Amy B.